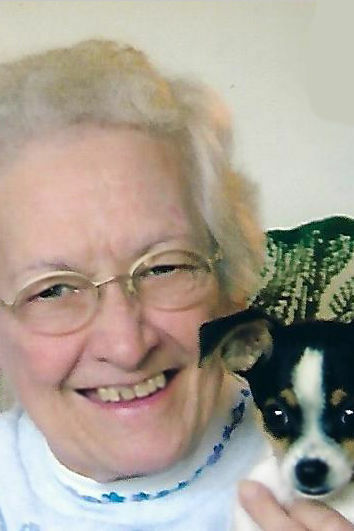 SUN PRAIRIE—Irma C. Hintze, age 91, passed away on Tuesday, Jan. 8, 2019, at her home in Sun Prairie. She was born on June 12, 1927, in Waynesboro, Va. to Honorat and Irma (Philebert) Cloutier. She worked for Sacred Hearts Liturgical Committee until she was 86 years old. Irma was also a longtime dog enthusiast. She is survived by her four children, V. Greg (Karen) Hintze, Paul Hintze, Mark Hintze (Todd Winterrowd), and Lisa (Joe) Statz; six grandchildren, Nathan, Terry, Danielle, Zachary, Austin, and Tia; brother, Leo Cloutier; and sister, Frances Burnett. She was preceded in death by her parents; and husband, Neal Hintze. A Mass of Christian Burial will be held at 11 a.m., Tuesday, Jan. 15, 2019, at SACRED HEARTS OF JESUS AND MARY CATHOLIC CHURCH, 227 Columbus St., Sun Prairie. Father Grant Theis will preside. Burial will be at Sacred Hearts Cemetery. A visitation will be held on Monday, Jan. 14, 2019, from 5 p.m. to 7 p.m., at TUSCHEN-NEWCOMER FUNERAL HOME, 302 Columbus St., Sun Prairie, and from 10 a.m. until the time of Mass at the church on Tuesday. In lieu of flowers memorials can be made to Sacred Hearts Church or Dane County Humane Society. the life of: Hintze, Irma C.